The Quilchena Hotel opens for the 2019 season on Friday, May 3rd! Please note that reservations are only available on Fridays, Saturdays and Sundays. Once known as the "Gem of the Nicola Valley", this small turn-of-the 20th century boutique hotel (built in 1908) is located in the midst of Nicola Valley’s old west. 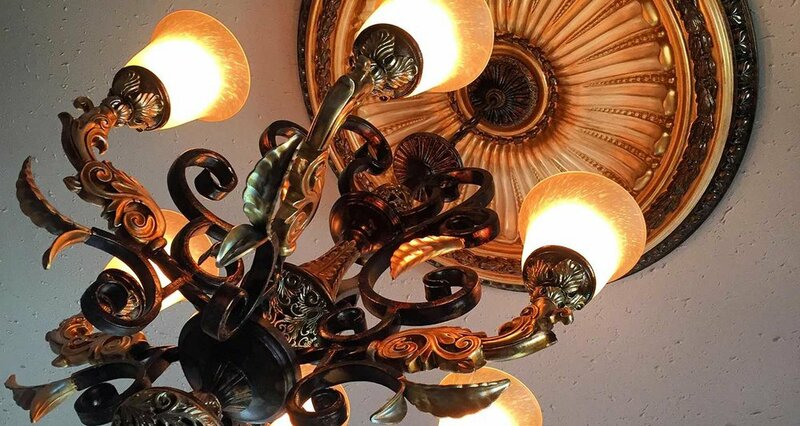 Our 15 antique-appointed rooms provide a memorable stay. Quilchena Hotel also boasts a completely licensed bar and grill style restaurant with large screen TVs and wifi internet, for those that wish to stay connected. In other words, it’s all here. Don’t forget to check out the world-famous bullet holes in the original bar located in the saloon! Come and experience a restful sleep surrounded by period antiques. Many of our distinctively decorated heritage rooms on the first floor have a pedestal wash-sink with a bath and shower at the end of hall. All accommodation packages include an exceptional continental breakfast adjacent to the saloon each morning. Open Fridays, Saturdays and Sundays only - with Monday morning check-outs. 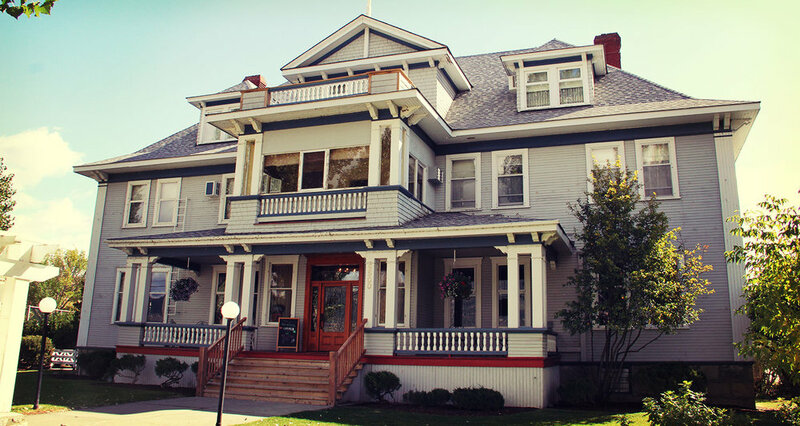 The Historic Quilchena Hotel is a truly timeless venue for your upcoming special day. Celebrate your wedding with turn of the century charm. We also have banquet and business meeting facilities that can accommodate up to 80 people. Please call in advance for reservations. Large group discounts are available. Ready to book your stay at The Quilchena Hotel? We look forward to having you as our guest Fridays through Sundays. Open May 3rd, 2019. The Quilchena Hotel opens for the 2019 season on Friday, May 3rd. The Bar & Grill will be open Fridays through Sundays. The Douglas Lake Ranch proudly presents local dining at the Quilchena Hotel! We are open lunch and dinner and provide an atmosphere that encourages you to enjoy, relax and be yourself in the midst of ranch country. Our culinary team takes dining very seriously here. 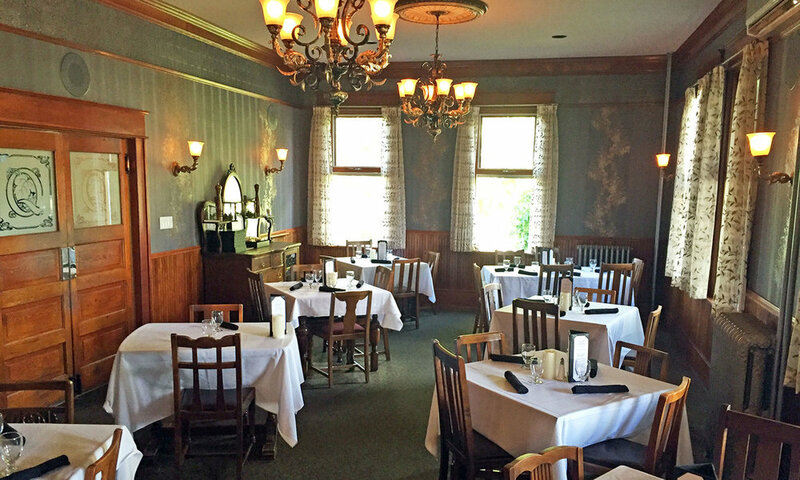 Menu items vary depending on what is in-season, consistently assuring the best of the best local ingredients. High Quality, locally raised grass & grain fed Douglas Lake Ranch Beef is always proudly featured on our menu. Big juicy steaks, slow roasted prime rib, smoked local meats, fantastic choices of West Coast seafood, fresh salads and incredibly irresistible deserts just to name a few things from our menu. Our impressive wine selection has been carefully selected to pair perfectly with our menu features and is sure to make you smile! We will be featuring vintages from several of British Columbia's incredible Okanagan wineries, an industry considered by some to be one of Canada's best kept secrets. We specialize in local craft beers and sample paddles. Make sure to ask what’s on tap! Our always inviting & outgoing staff will welcome you with a smile. The Quilchena Hotel’s food & beverage program provides an atmosphere that encourages you to enjoy, relax and be yourself in the midst of ranch country. Interested in a catered banquet? We do that too. The restaurant is open Fridays through Sundays beginning Friday May 3rd, 2019. Advance dinner reservations are strongly encouraged to ensure seating. Large group reservations are required.